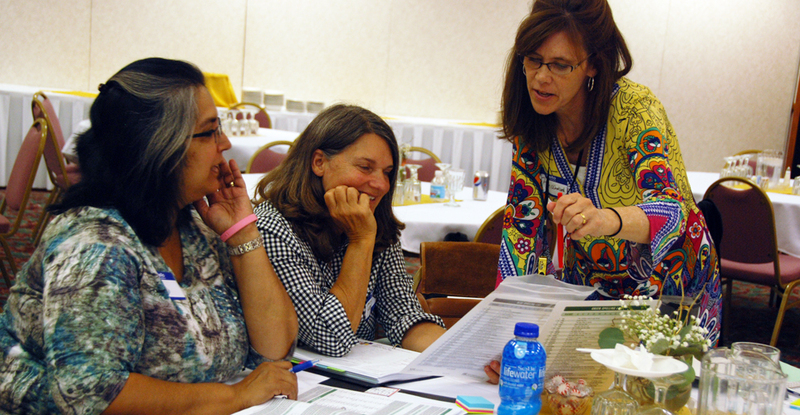 Assessment provides the road map to effective remediation of a student’s reading, spelling, and writing difficulties. It also gives you a window into his linguistic and language profile. You will find here all the tools you need to determine your student’s learning profile and choose the correct i.t.a. intervention protocol to ensure his success. 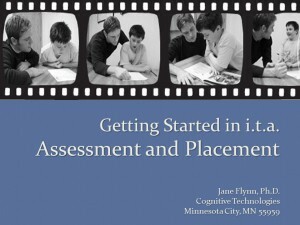 This presentation is an introduction to the assessment process that leads to effective i.t.a. programming for struggling students. The Peabody Picture Vocabulary Test-4 assesses words that a student recognizes and is a good measure of general background knowledge. Because many of the words pictured in this test are learned through reading, students with reading disabilities often demonstrate a delay in comparison to their peers. However, if he has been read to, or watches the Discovery, Science, or History channels, it is likely that receptive vocabulary will be average or above. This test should be given at the beginning of a student’s intervention program, and then again at graduation from the i.t.a. program. The Auditory Analysis Test-Revised (AAT-R) assesses a student’s ability to analyze spoken words to delete syllables and sounds, and is a good predictor of decoding. The Qualitative Reading Inventory provides a complete profile of a student’s reading abilities: her instructional reading level, fluency (words per minute read correctly), comprehension level after reading a passage, and listening level when passages are read to her. The oral reading instructional level will be the starting point for intervention. These videos provide guidance and examples for scoring oral reading performances and determining instructional reading levels for your students. When you compute the standard score and percentile score on the spelling portion of the Wide Range Achievement Test (WRAT-4, you will have information about how a student performs in relation to others his age. However, analyzing his misspellings for GFEs (Good Phonetic Equivalents) will tell you what kind of spelling/decoding intervention he needs. If a student is not able to spell words the way they sound, writing in i.t.a. is what he needs. You can learn a lot about a student’s writing skills by asking him to write a story, giving him a sentence prompt and three minutes to write. This brief writing sample can be scored both for productivity (total words written) and complexity (average sentence length and vocabulary.) This video walks you through the Writing CBA administration, scoring, and interpretation.